Sheet piling is used ubiquitously when laying the groundwork in construction and structural engineering projects. They comprise a series of interlocking sheets that fit together to form both temporary and permanent walls for earth support and retention. Retaining walls in earthworks are often manufactured from recycled sheet metal, and occasionally timber. Steel is preferable given its exceptional formability and good lateral strength. Narrow steel profiles formed into troughs are sequentially arranged along an excavation or construction perimeter, forming a wall with an alternating series of indents. These are hydraulically or manually driven into the ground to form a retaining wall that holds back soil from the excavation site. The primary demand for sheet piling products is to resist extreme bending forces and high pressures. However, erosion and environmental fatigue can be a factor that impacts the longevity of sheet piles, particularly in marine environments. Sheet piling has also been employed in marine applications for a variety of water cut-off, control, and protective structures, including seawalls and bulkheads. 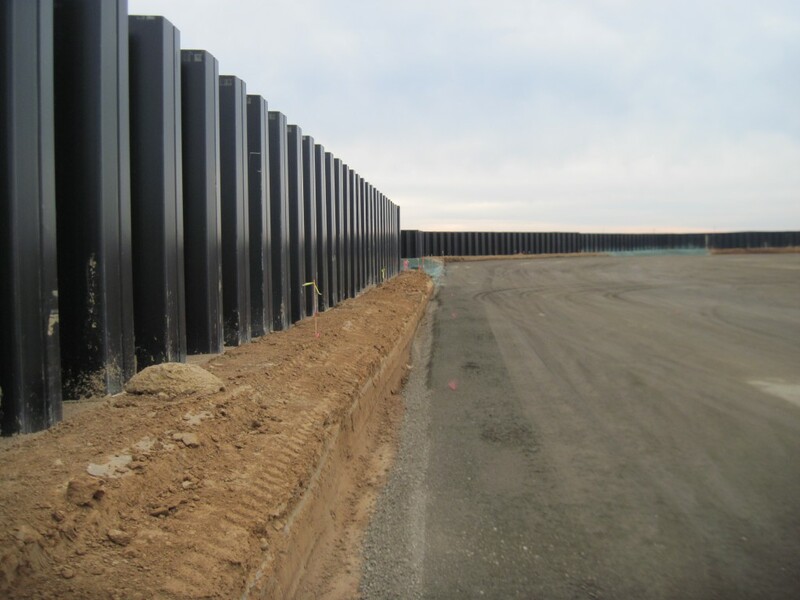 Temporary piles have also been used to manufacture cofferdams for bridge construction, providing a dry working environment for underwater structures. The primary issue with steel and timber sheet piling in marine applications is their comparatively poor performance in the presence of corrosive elements. Steel pilings, in particular, represent high upfront costs due to installation and transportation, with limited service lives due to oxidation and corrosion issues. Often, steel piles require substantial post-treatment to improve the surface qualities of the material and extend the product’s life cycle in marine applications. This can be problematic for certain applications, as coatings may be toxic to underwater environments. The alternative is committing to substantial ongoing maintenance costs to ensure that steel sheet piling does not prematurely fail. UltraComposite sheet piling is the ideal solution to the cost and performance issues of conventional steel profiles. UltraComposite sheet piling is a composite product that exceeds conventional steel piling for marine applications. Manufactured in both Z and Box profiles, these narrow fiberglass sheets perform an identical job to that of steel piles. They retain water and earth to facilitate the construction of numerous marine structures, including: cut-off and containment units; subterranean flood barriers; and permanent seawalls. The primary difference is the material’s chemical inertness and inherent resistance to a comprehensive range of corrosive elements. Fiberglass is non-oxidative and impervious to rot, offering long life-cycles with low environmental impacts. UltraComposite products require no post-treatment to reach these levels of performance, unlike steel. They are also lighter weight with exceptional lateral strength properties, which can accelerate installation and reduce labor costs, demonstrating significant upfront and ongoing investment savings. UltraComposite fiberglass sheet pilings are subsequently the first choice for many marine applications. Strongwell engineers UltraComposite sheet piling with Crane Materials International (CMI), combining our manufacturing capabilities with their marine engineering expertise. If you would like to learn more about the performance of fiberglass in marine applications, read our previous blog: The Effects of Seawater on 4 Different Structural Materials. Otherwise, contact us directly if you have any questions about UltraComposite sheet piling or fiberglass in marine engineering.